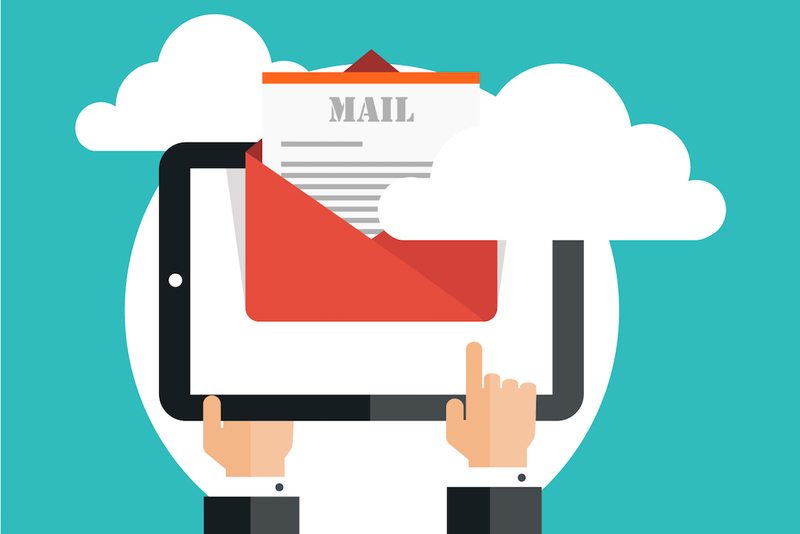 Email marketing is rising in popularity as a sales tool for many businesses. Aside from it, websites are being used as a tool for marketing. Click here to know more. As it stands, it’s the third most influential marketing tool for B2B brands. It’s also becoming more popular as a way for consumers to stay connected to the brands they love. Studies show that of the majority that enjoy receiving promotional emails, 38% want more emails from brands they trust. Automated email courses — educational emails typically sent in a series to those who opt-in — can be particularly effective for generating leads while still providing something of practical value. They allow you to convert visitors into email subscribers as well as establish your business as a go-to expert in your field. It’s a win-win. Building an automated email course isn’t as hard as it sounds. In fact, if you have WordPress, you can build them easily with Gravity Flow. Here’s how. 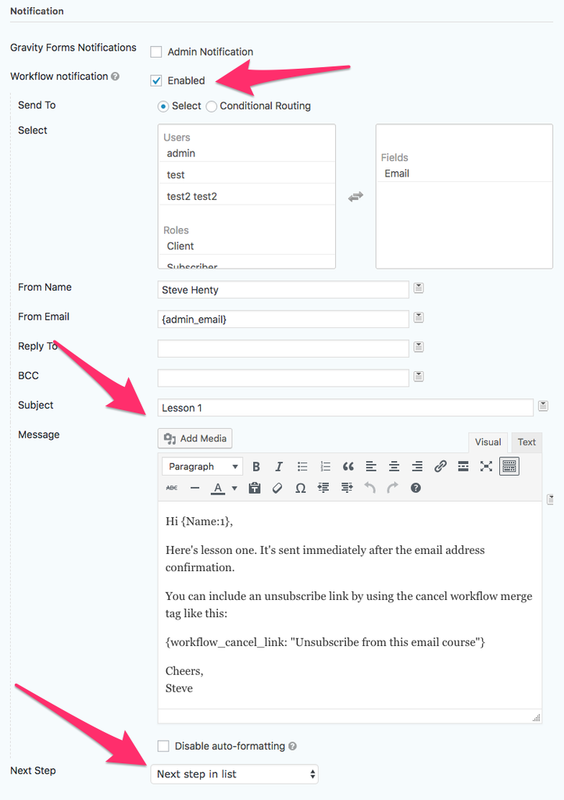 An email course is simply an autoresponder with more components. It’s built in a similar way, though there are more emails in the series than a typical autoresponder that has one or two at most. Most likely, the hardest part of your email course will be coming up with the topic and content yourself. We won’t cover that here, but you can check out Content Spark’s email course ideas guide and Teachable’s email course content guide for inspiration and advice. Your opt-in forms and placement — How will people access your course? The first thing you want to do is plan out how many emails you will need. There’s no hard and fast rule about how many emails you should send out, but the average email course ranges between three to seven emails. In some cases, you might need more, but it will ultimately depend on your content, audience and goals (marketer Josh Earl has some advice on email course length here). Each lesson of your course will be another email (another step) that will require its own design and setup, so keep that in mind when you’re deciding on length. The next step is to create a timeline for when you will send out emails. Again, there’s no ideal timeframe as it will depend on your audience, but most courses are sent out once a day. So the total number of days would be dependent on how much content you have and how you break it up into different emails. If you wanted to add time in between lessons, your course might take a few weeks. The timing will matter when you schedule out your lessons. The first email is typically sent when someone opts in, but the rest will be scheduled according to your timeline. You might also consider adding in more emails after the course is finished, like sales email follow ups. Once you have your email length and timeline figured out, the next thing you want to do is build your opt-in form. If you’re using Gravity Flow, you will want to build an opt-in form using Gravity Forms. This could be a simple pop-up opt-in or a CTA button somewhere on your website (or both). The design of the form itself is up to you. You can segment your list (here’s a tutorial in segmenting your Gravity Forms opt-in) or just gather a name and email (or just an email, like the example above, though gathering a name can help you with personalization later on). AffiliateWP has has a guide here that can help you build a Gravity Forms opt-in form of any length or style, and Gravity Forms has a design tutorial for opt-ins here. Now that you’ve decided how many emails you’re sending, when they should be sent and how people will sign up for your course, it’s time to build. Make sure you have the Gravity Forms plugin and Gravity Flow plugins installed in WordPress. 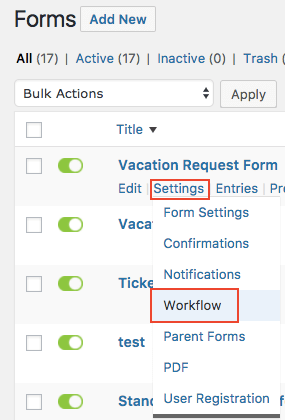 In your WordPress dashboard, when you go to Forms > Settings you will see that a “Workflow” option has been added to your forms. 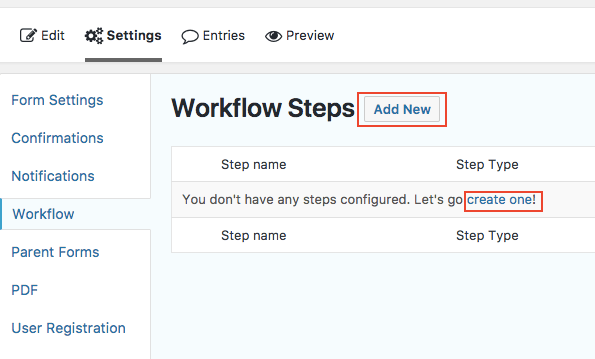 You will use the workflow tool (shown above) to start adding steps to your email course (we have a guide for using Gravity Flow for workflows here). 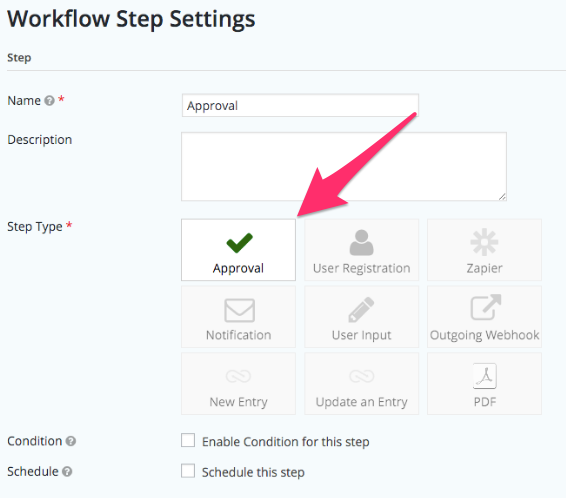 When you’re in the workflow section of your opt-in form, you want to click Add New, which gives you the option of adding steps. The first step you want to build is your confirmation email. The confirmation email works as a way to introduce the user to your course, but also confirm that they want to receive your content. This is called a double opt-in, and it helps you create a list of more qualified leads. After selecting Add New, choose the Approval step. Scroll down to the Email field and in the assigned email section and make sure your settings are configured (see image below). Then, add in your course information, including a “From” name, your course title and any content that will be in your welcome email. You also want to check the box for “Send reminder” and “Repeat reminder.” Then, configure your expiration dates and next steps (your next step should link to your first lesson). Once this email is built, you want to build a similar email (using the steps above) to create a second notification email for those that don’t reject or approve your first email. This should not include links to any other lessons or emails. If it’s ignored, then the workflow ends and they won’t get access your course, but can sign up again using your opt-in form at any time. Once your confirmation emails are set up, the next step is to build your lessons. Each lesson is built similar to the steps above, only instead of creating an Approval step, you will create a Notification step. Then you will configure your scheduling settings. Make sure to check the “Schedule this step” box and to set a certain time limit for each lesson (this is where knowing your timeline will come in handy). Next, make sure your workflow notifications are enabled and add your content. 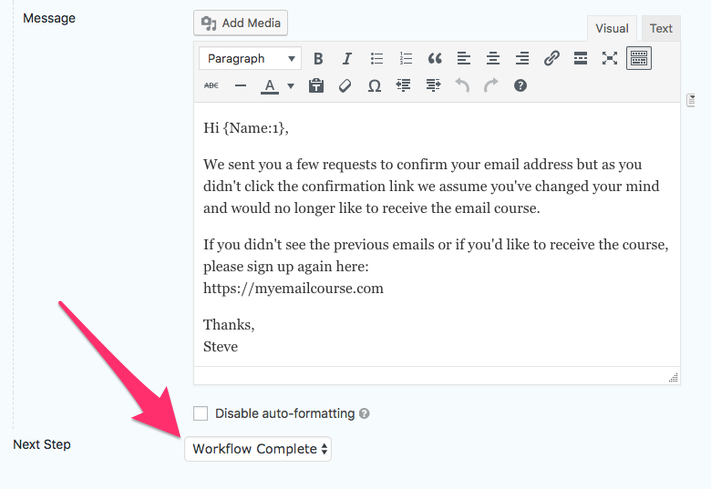 You can also add additional emails, like a follow-up email a few days after the course ends, using the Notification step just like you would for a lesson email. 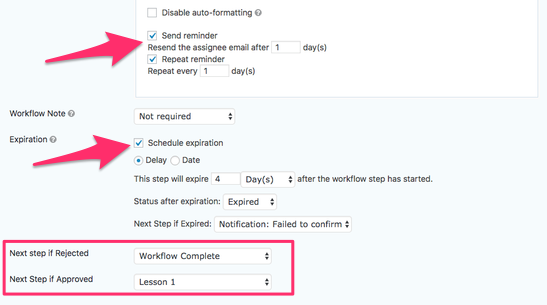 Each lesson is created as a separate notification step, so keep that in mind when you’re planning out your lessons. Once your lessons are created, you’re more or less done. The next step in the process is to test it out. 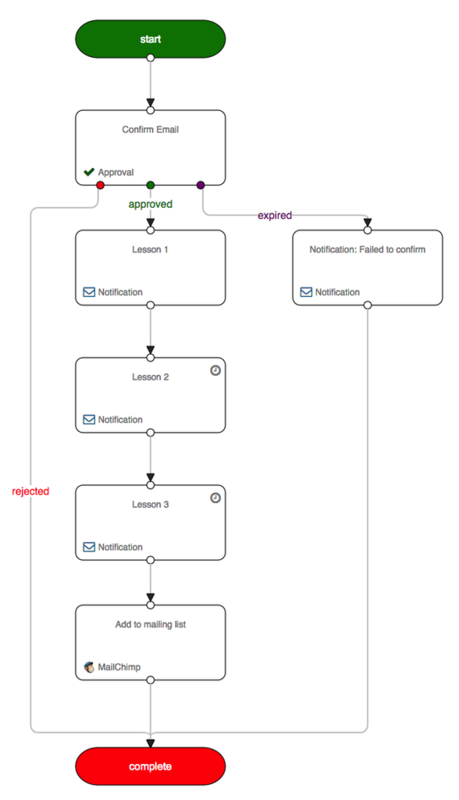 You can do this by either signing up for the course yourself and run through it as your audience would, and/or by using the Gravity Flow flowchart extension to map out the process first. 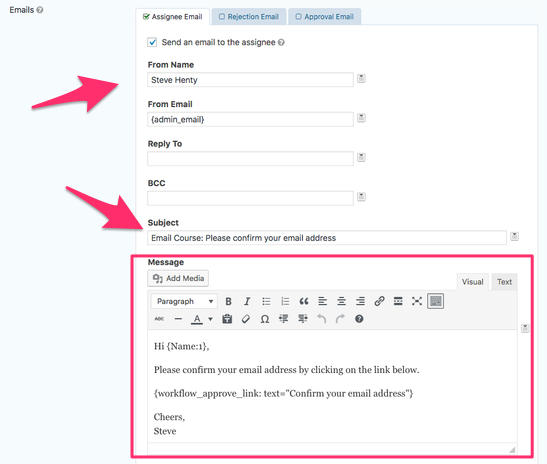 The steps to building an automated email course in Gravity Flow is fairly straightforward. Lessons 1, 2, 3, etc. The more complex aspects of your course will involve planning out your lessons, how many emails you want to create and when to send them out. Of course, the most complex component will be coming up with the content itself. But at least the email building process is easy with Gravity Flow. Joanne, is it possible to require the submission of a form, and even approval from a teacher now moving from lesson 1 to lesson 2? Yes, Hashim, you can use the Form Submission Step and Approval steps to do this. Yes sir – Hashim — I’d like to see what you have built as I myself am building one and will share – thanks Steve!!! 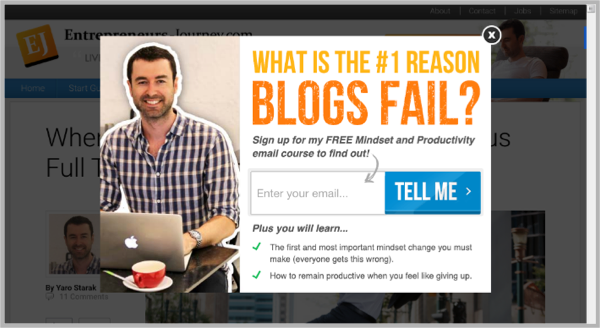 Make sure your email course is getting opened by your audience with these conversion tips. Subscribe to get this free resource.